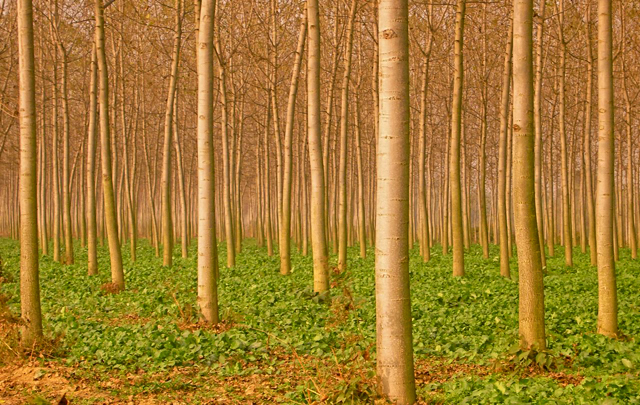 France has its often debated* allées of trees lining the country roads—each white striped trunk standing sentinel. So beautiful. Northern Italy has its plantations. Heading into the countryside this weekend, in the vicinity of the Certosa di Pavia in what’s known as the pianura padana (the plain that characterizes the Lombard region) we passed plot after plot of pioppi, or poplars. They are grown as pulp wood, but before they become the paper of the bad news we read every morning and the great novels we read each night, they are the backdrop to our rare moments of escape. In both cases, the geometry of the trees (from certain angles obscured, from others revealed), like the structure of a Bach fugue, gives you a sense that all can potentially be right in the world. That man can make things true and meaningful and good. That certain choices can be sustained and that certain functionalities are as beautiful as they are workable. These trees dot the maps of our lives, saying to us not only “You are here,” but more importantly, “You are supposed to be here. You are on the right road.” Cheerleaders and witnesses to our passage. Thanks to my husband Roberto Badò for the beautiful photographs. *The debate centers around the opinion that the trees present a hazard to drivers and passengers. Apparently, people have a tendency to drive straight into them. I think this is the fault of the drivers and the wine they drink. Not of the trees. 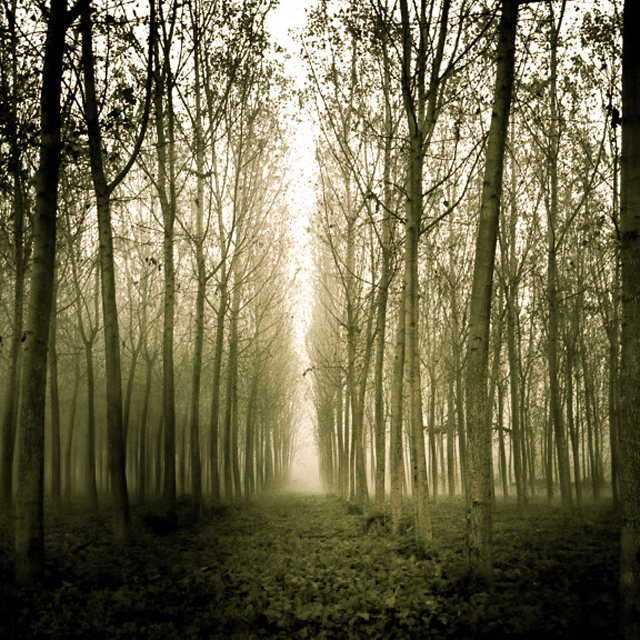 This entry was posted in AROUND US, ITALY and tagged David Wagoner, Italy, Lombardia, Lombardy, pioppi, poplars, trees. Bookmark the permalink. So beautiful. Stunning. Before they become a novel they are a novel unto themselves. and to us. Thank you Charlotte. These amazing photos also speak volumes about your husband Roberto. You’ve chosen well.